“Love comes in a bottle with a twist off cap,” lead singer Alex Turner croons on the monologuing sway of opener ‘Star Treatment’. Gone into the sunset are the leather jackets of the band’s most popular album, 2013’s AM. Instead we are introduced to men in pastel suits and five o’clock shadows. This disc is a slow burner in vain of David Bowie’s Low or Fleetwood Mac’s Tusk. If albums can be labelled “cult classics” the way films can, then this is the band’s hidden gem. ‘One Point Perspective’ is a slow dance with a cheeky exchange of winks. ‘American Sports’ has you shimmying across the dance floor of the moon. 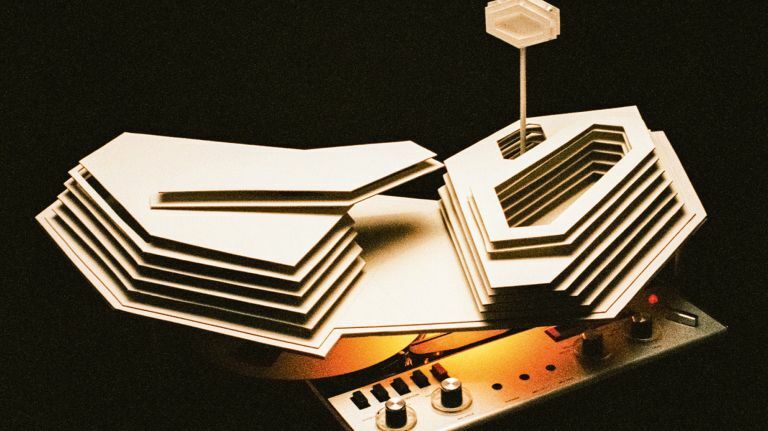 Turner channels a soft Bowie-esque croon on title track ‘Tranquillity Base Hotel and Casino’. Lyrically throughout we are welcomed to visuals of terraformed outer space suburban houses and the perils of technology. Lead single ‘Four Out of Five’ has a muddy guitar riff with mellow AM feels and is easily the catchiest song. ‘The World’ First Ever Monster Truck Front Flip’ tip-toes up the staircase and into the galaxy. ‘She Looks Like Fun’ has a dynamic back and forth exchange of a piano, a deep Lou Reed voice and what feels like two different songs fighting for air time. ‘Batphone’ is an organ lullaby accompanied by subtle guitars. And closer ‘The Ultracheese’ is a fitting piano ballad that carries the listener off to the honeymoon suite. This is rock n roll elevator music with Wes Anderson as your bellboy. Tranquillity… won’t be everyone’s cup of tea, but it will be your third cigarette at 2am well after the bar has closed.